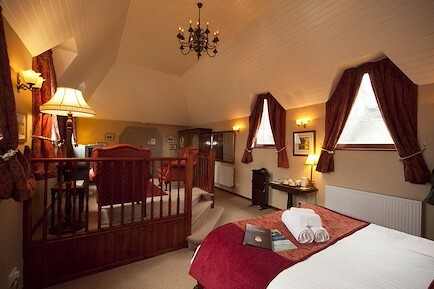 All our bedrooms are en-suite with TV/DVD/DAB, WiFi, fridge and tea/coffee making facilities. We have one room suitable for our mobility impaired guests. Three of our six rooms are dog friendly with direct access to the garden and our own paddock. Coming from the M6 leave at junction 40 and take the A66 in the direction of Keswick. Exactly 11 miles from the motorway look for a signboard for the White Horse Inn on your right and a signpost on your left for Scales. If approaching from the Keswick direction, take the A66 in the direction of Penrith and continue up the hill. After passing Threlkeld village on the left hand side you will see the White Horse Inn on the left. Take the small turning in front of the signboard and Scales Farm is ahead next-door to the White Horse. We have plenty of off-road parking in our private car park at the far end of the buildings. Your enquiry will be sent directly to Scales Farm Country Guest House. Please fill in as much detail as you can.